Whether you want to start small or big, cook in more or go out and try something new, the 14 resolution-tied products and practices ahead have those plans and more covered with a click. Kick off the new year on a proactive foot by signing up for a new workout plan, investing in a charity or cause that moves you — or even just by finally cleaning out your closet and sticking to daily vitamin and skincare regimes. We may have different definitions for living our best lives, but if there’s one thing to agree on it’s moving towards positive change and a happy, healthy year ahead. 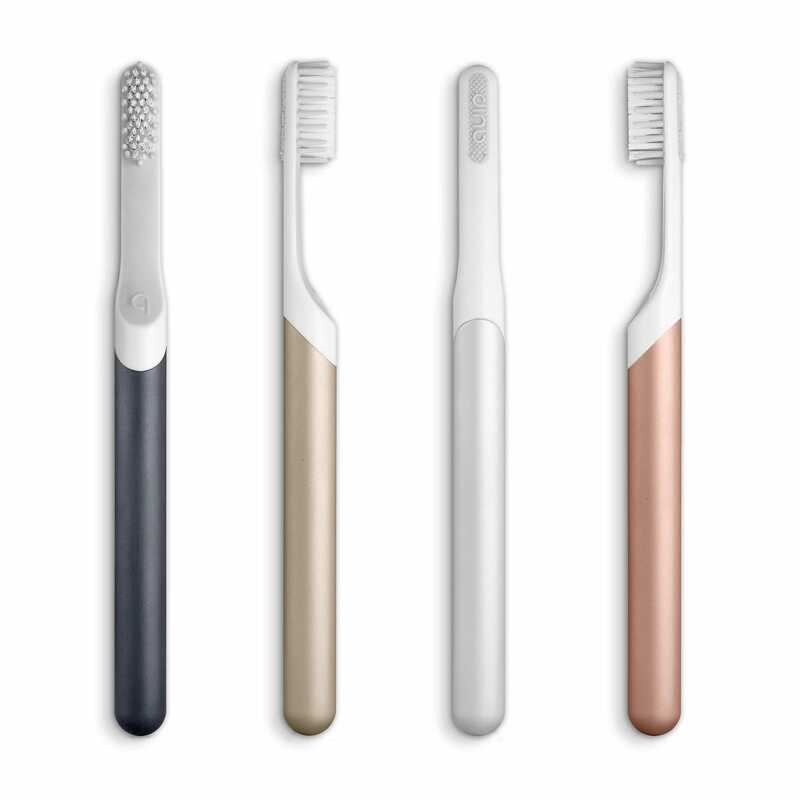 Resolution: Have The Pearliest WhitesElectric toothbrushes have revolutionized the way we keep our pearly whites, well, pearly white — and Quip not only revolutionized the affordability of such high-tech, hygiene gadgets but also the innovation. The popular oral care company designed a sleek system to fight against a range of common dental woes (e.g. brushing too hard, not brushing long enough, not brushing twice a day, not replacing brushes, and not going to the dentist as often as we should) with a more streamlined and unencumbered system that is easily accessible online. 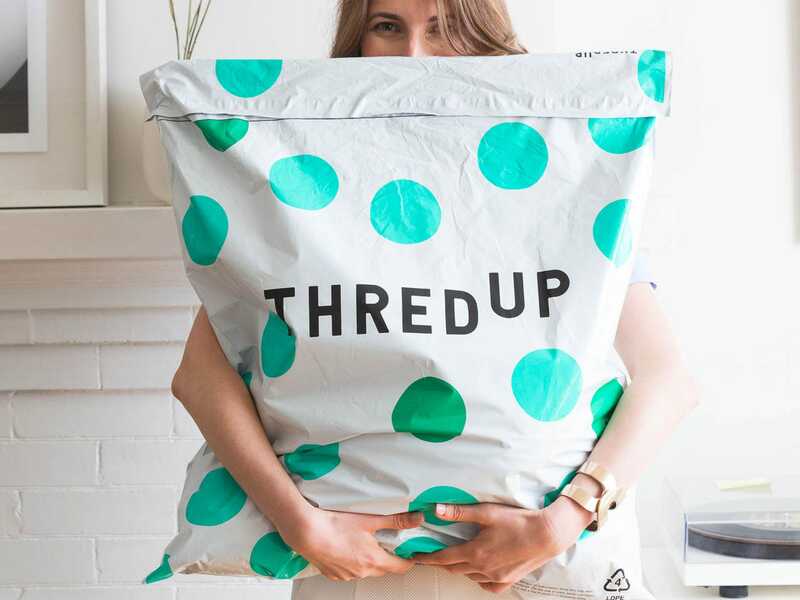 Resolution: Clean Out Your ClosetDo out with the old and make room for the new with a clothing collection service like thredUP — designed as part of the larger collaborative consumption movement to encourage, “consumers to live in a more collective, sharing economy.” The fashion resale website not only conveniently helps clear out crammed closets with an organized online system, but it also buys and sells the secondhand clothing for a commission percentage return that can then be used to outfit a new wardrobe in 2019. Resolution: Try A New Workout PlanJoining one specific gym or taking one specific class may feel like a restrictive commitment for some — and that’s where ClassPass comes into play. The fitness membership provides access to thousands of fitness classes worldwide, ranging from spin to pilates, bootcamps, and more with monthly fees starting at $45 for 27 credits (2-4 classes), $75 for 45 credits (4-6 classes), or $135 for 90 credits (8-12 classes). 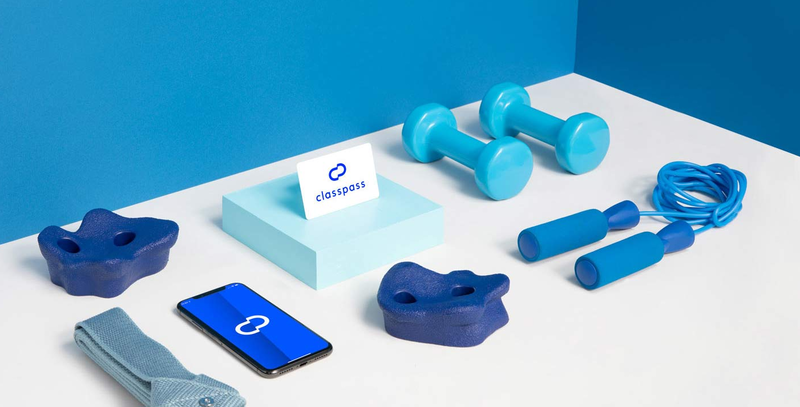 If you’ve never tried ClassPass before, they have a sweet deal that just started: an entire month for free to see if you like it. You can cancel at any time. Resolution: Support A Cause You Believe InNot all New Year’s resolutions need a self-focus. Instead, research a cause or charity that you’re passionate about to support in 2019. 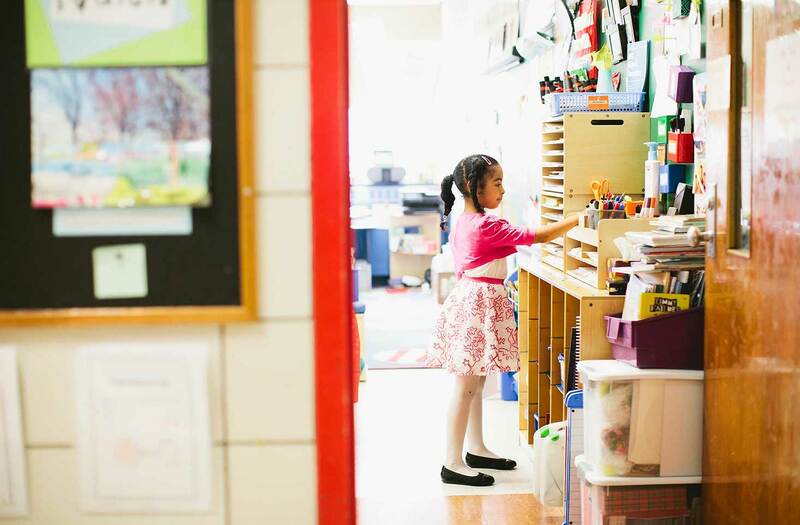 DonorsChoose.org is a public charity focused on helping classrooms in need around the nations so that, “students in every community have the tools and experiences they need for a great education.” Through its user-friendly donation site supporters can choose the classroom project that inspires them and donate as little at $1 towards the cause — once a classroom project is fully funded, the charity then purchases the requested items and ships them directly to the school. Resolution: Read More BooksWhat better time of year to expand the mind and hunker down with a good book than the January doldrums? Fill the void of parties and holiday travels with a free and easy way to pack in exciting adventures from the comfort of your home. 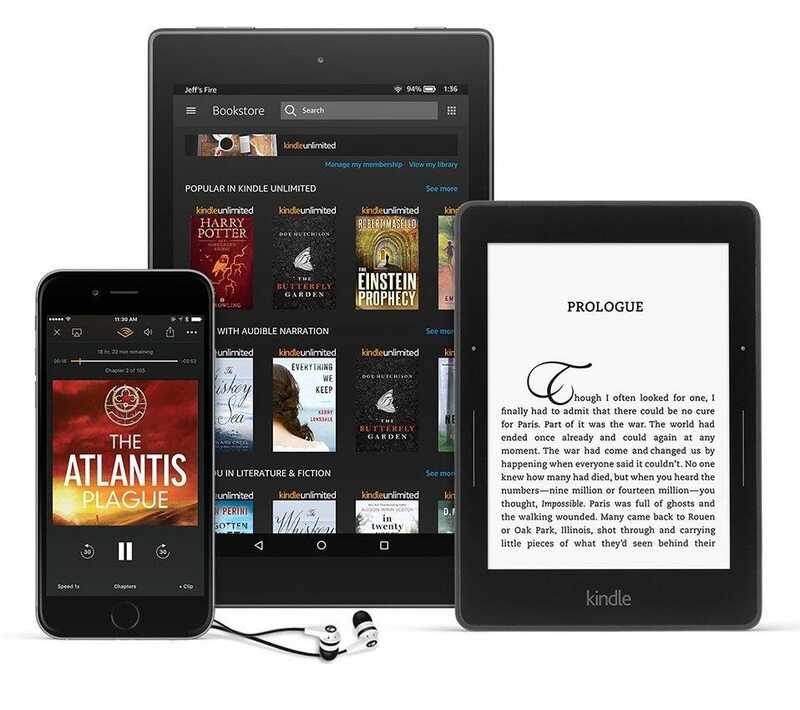 Two suggestions include: trialing a free month of Kindle Unlimited (that’s unlimited access to over 1 million books, magazines, and Audible narrations on any device); and “investing” in a free local public library card. If you feel like shelling out a little cash for your new and improved reading habit, consider buying your books from Better World Books. Every book purchased from Better World Books in turn funds a book donation to someone in need via verified non-profit organizations. Read more about its mission, here. Resolution: Take Your VitaminsMom may not be around anymore to constantly remind you to, “take your vitamins!” But the wellness-expert team behind Care/of is. Treat yourself to a month’s subscription of daily vitamin packs that are personalized for you based off of a specialized vitamin recommendation quiz. Each daily pack comes inscribed with your name and a daily affirmation for wellness and self-care inspiration. Resolution: Drink Water / Give WaterYou should drink more water…yep, yep, you know it, so let’s do it. 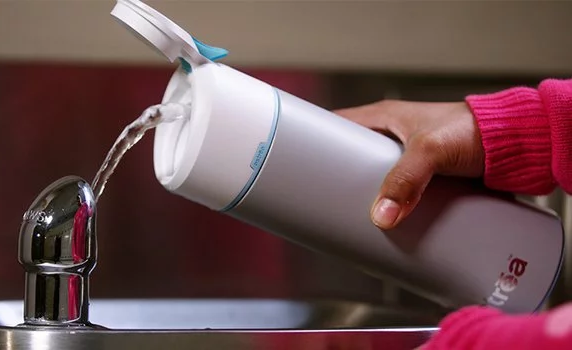 But, before you take that next cool sip in the name of your good health, consider making your reusable bottle purchase through international nonprofit organization, Water.org ‘s give-back partners — there’s several to choose from. 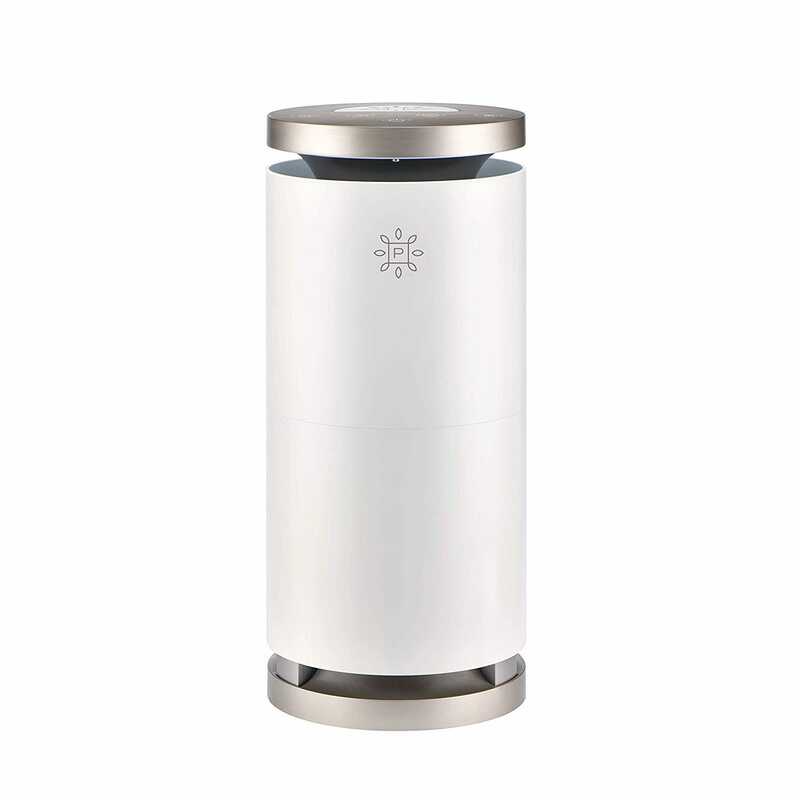 We particularly like the Astrea bottle that has a filter built in, but any reusable bottle that gives back, cuts down plastic consumption, and gets you drinking up is a worthy purchase. Resolution: Getting Your Beauty RestSound sleep makes for happy days. So, in 2019, we’re planning to kick our beauty rest game into high gear with an investment in cutting-edge sleep essentials — starting with our mattresses. Casper recently debuted its newest innovative memory-foam dubbed, “The Wave.” The company describes the new product edition as its, “most advanced mattress,” yet — with an ergonomic support and temperature regulation design for a blissful future of uninterrupted snoozing. 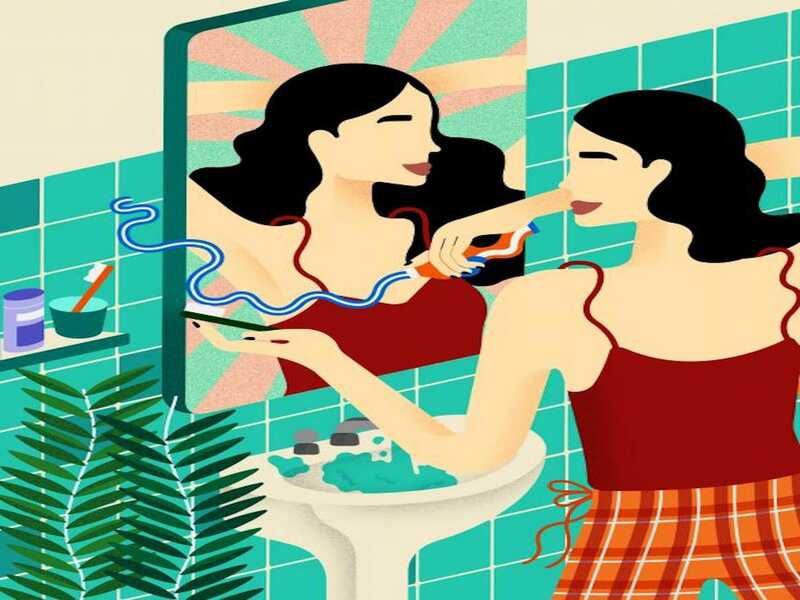 Resolution: Start A Skincare RegimeStarting a skincare regime may be high on our list of 2019 to-dos, but it’s also high on our list of intimidating to-dos. 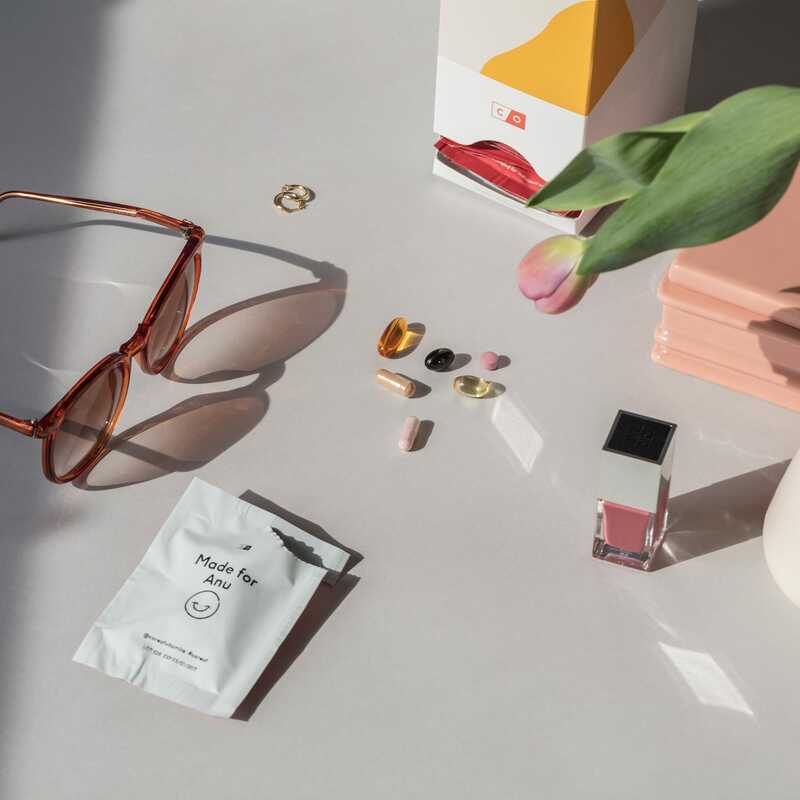 Don’t let yourself shy away from getting a skincare routine in play this new year just because you don’t know where to begin — instead, try investing in an already-curated starter kit. 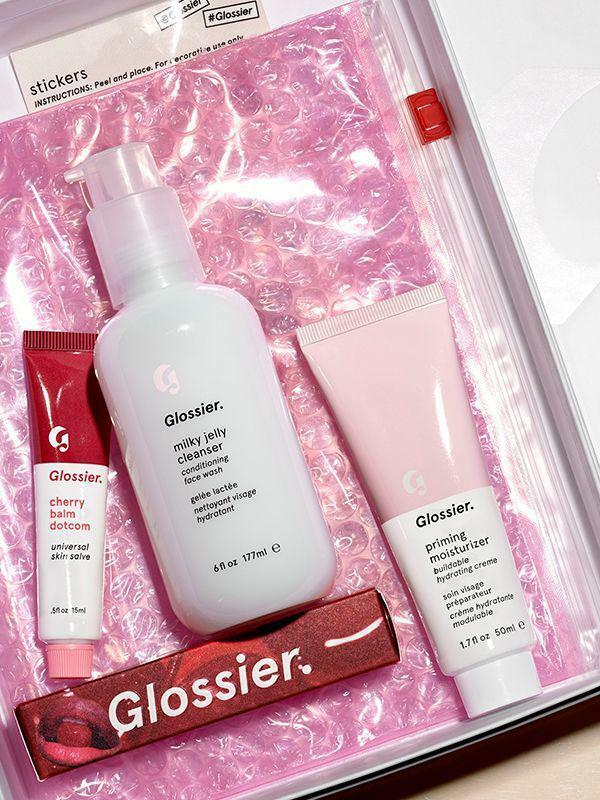 This simple yet effective skincare package from Glossier comes with the brand’s most popular everyday essentials: Milky Jelly Cleanser, Priming Moisturizer, and Balm Dotcom. 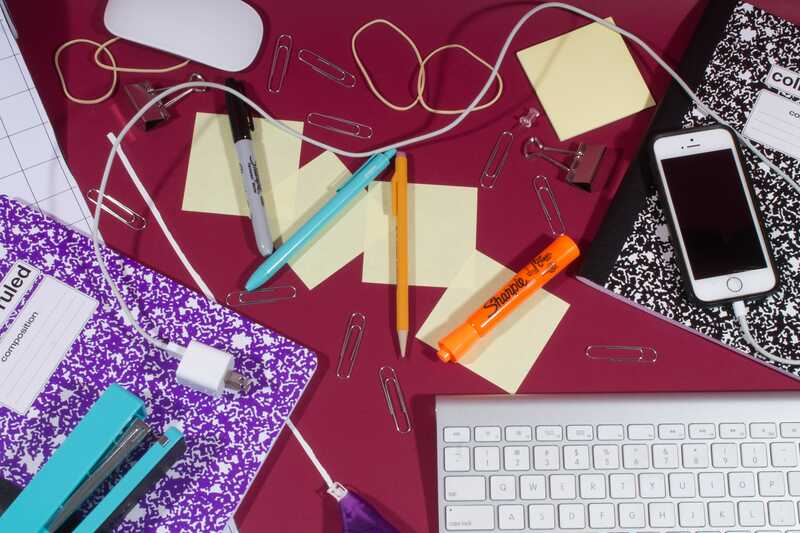 Resolution: Educate YourselfSo you’ve been thinking about learning how to code, huh? Or perhaps pick up a new language, brush up on some business skills, or understand marketing analytics? There’s no time like the present to arm yourself with skills that will plump up your resume and get you ahead at the office and in life. The notable resource worth seeking out is Harvard University and MIT-founded online education destination, edX.org. The MOOC (massive open online course) site has a mission of providing affordable access to high-quality education for everyone, everywhere — and the courses are numerous and heaping with potential for a smarter, brighter 2019. Resolution: Cooking In More (Or Eating Out Less)Simplify your resolution to eat out less and cook in more by signing up for a meal subscription service that takes care of the recipe inspiration, grocery shopping, and ingredient-measurement work for you — and saves you $$$. 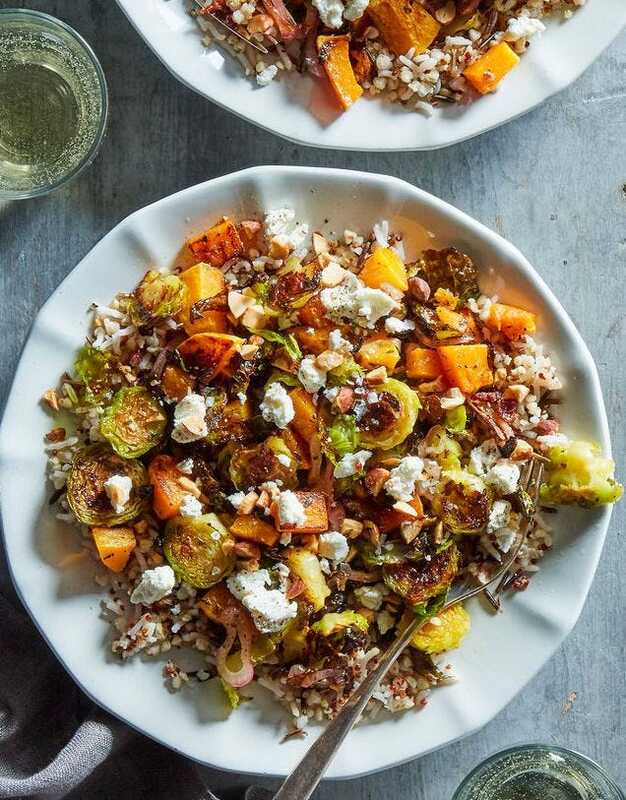 Marley Spoon offers up the freshest seasonal ingredients for recipes that are delivered directly to your door. Who needs a restaurant when you can dine on gourmet cooking queen Martha Stewart’s recipes morning, noon, and night in the comfort of your own kitchen? Resolution: Save Some MoneyIt’s high time you fished out all the folded Washingtons you’ve been non-selectively storing in coat pockets and handbags, and turning them into Benjamins — preferably stored in a more digital-savvy location. That’s where a trusty money-saving app comes in handy. 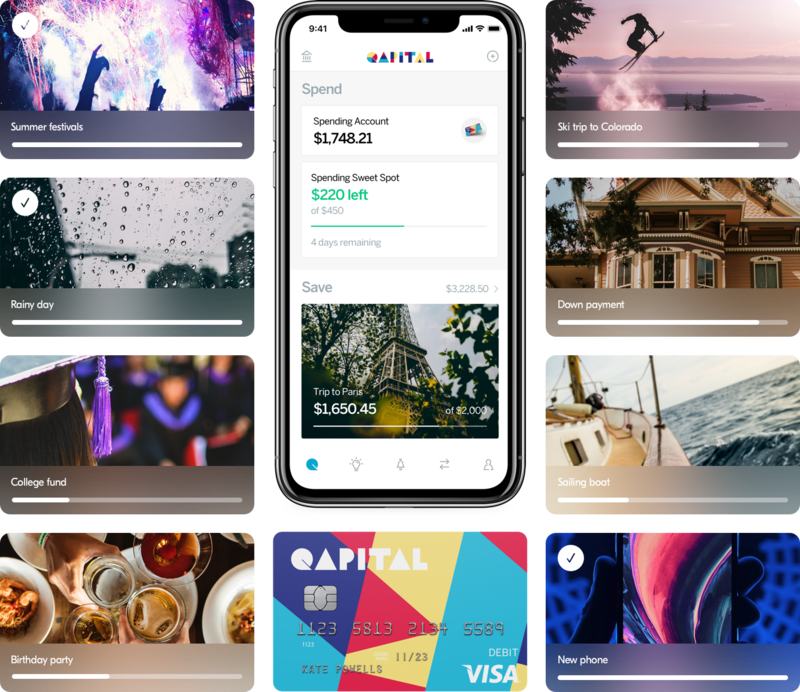 There’s a lot out there but we like Qapital because it’s super straightforward and easy to use and makes saving money goals fun. Resolution: Breathe BetterLiving a happy and healthy life in 2019 can be as simple as starting with the air we breathe — and according to The Home Air Quality Guides, investing in an air purifier can, “remove pollutants and allergens from the air so you don’t breathe them into your lungs.” Try a HEPA filter model that’s build for large spaces and also doubles as a stylish decor piece, like this with “whisper-quiet” quite model with a sleek silhouette. Resolution: Meditating MoreIf you’re ready to take your meditative resolutions past mindfulness apps and into the physical realm this 2019, there’s an actual seat that’s designed to heighten your state of ” Ohm.” This specialty meditation chair’s design was inspired by ancient yoga manuals and is structured to improve practice and posture through built-in foundation points that allow natural posture and alignment in the body. Or for a more entry-level price of $30, we also like the no-frills Crescent Cotton Zafu Meditation Cushion from Everything Yoga. ← Natural Brilliance Mindfest” Move from feeling stuck to Achieving Success!